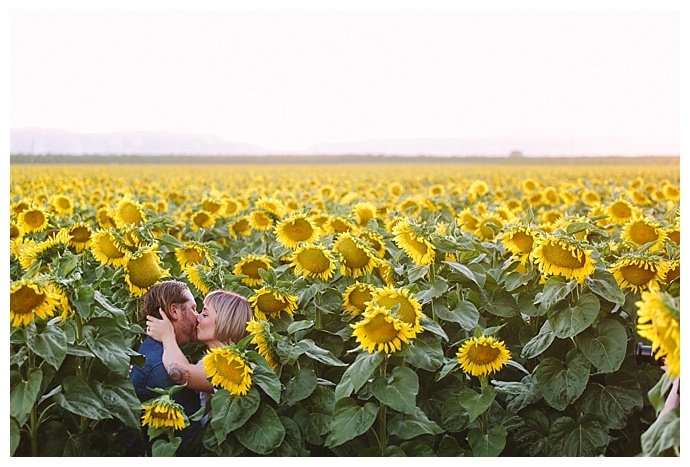 Golden fields blanket the landscape in Dixon, Calif., where rows of tall sunflowers bloom every summer. 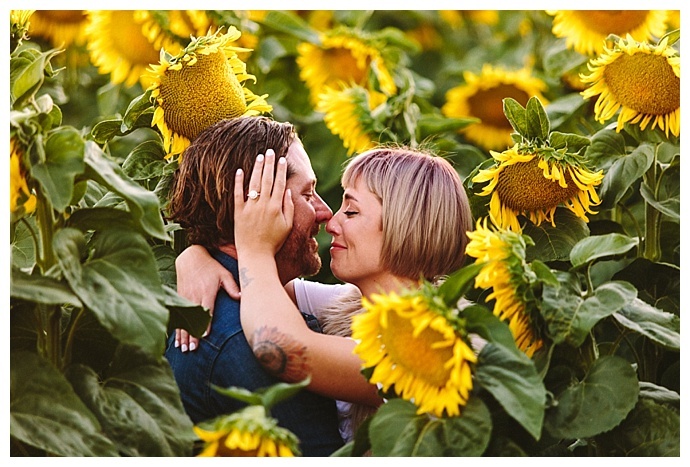 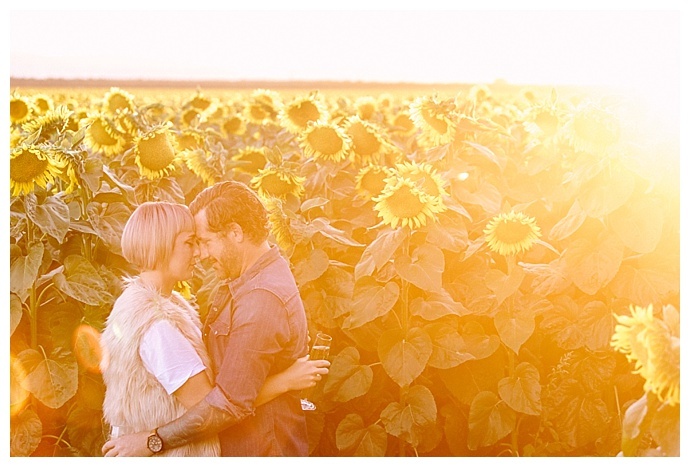 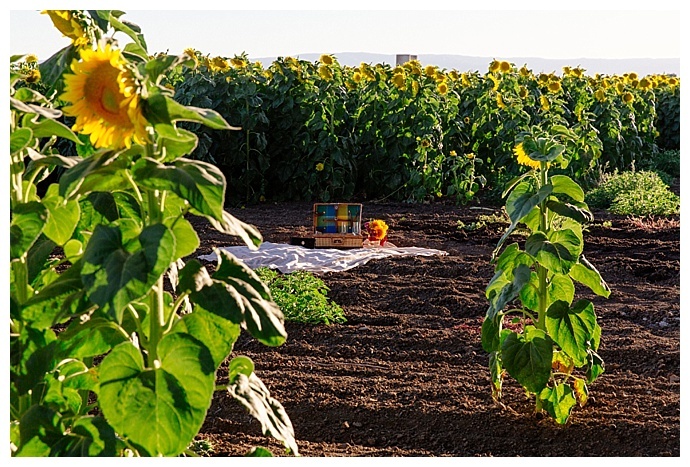 Shane, knowing Lisa’s affection for the sunflower’s beauty, couldn’t think of a better place to ask Lisa to marry him. 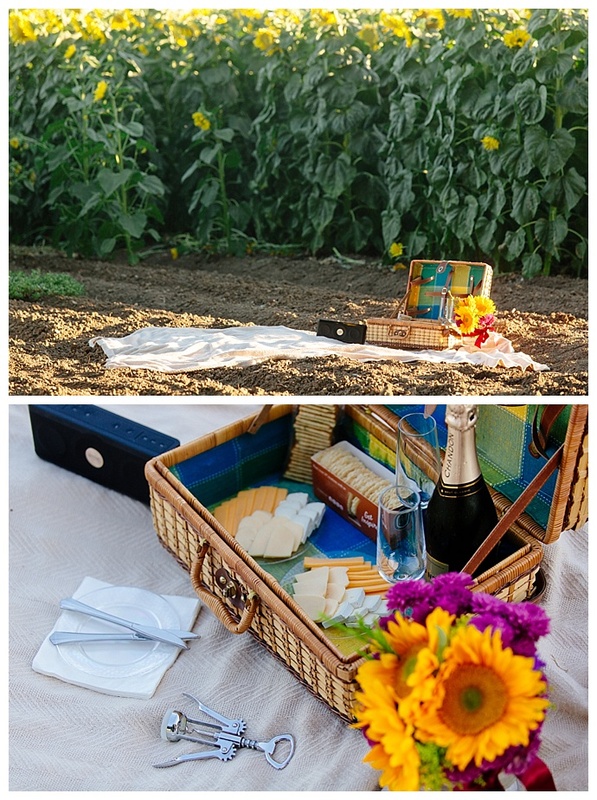 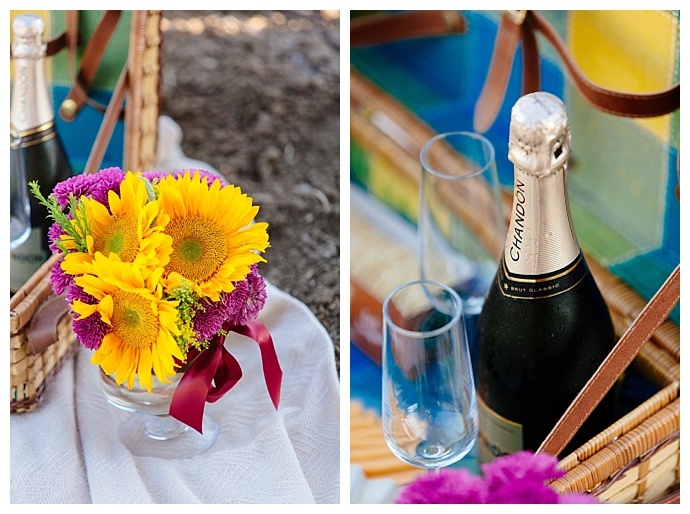 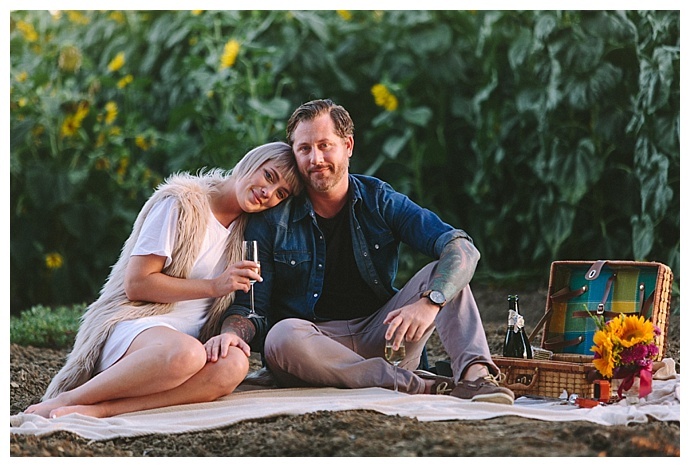 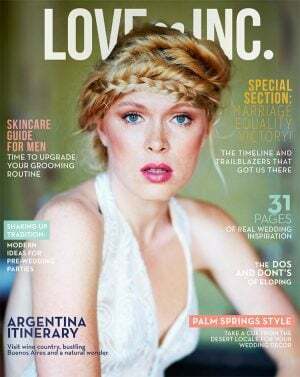 With a close eye on the blooms, Shane patiently planned the proposal, which included a picnic basket filled with Lisa’s favorite snacks and champagne, a playlist perfectly timed to play their song as they arrived, and R&E Weddings hiding in the stalks to capture the unforgettable moment. 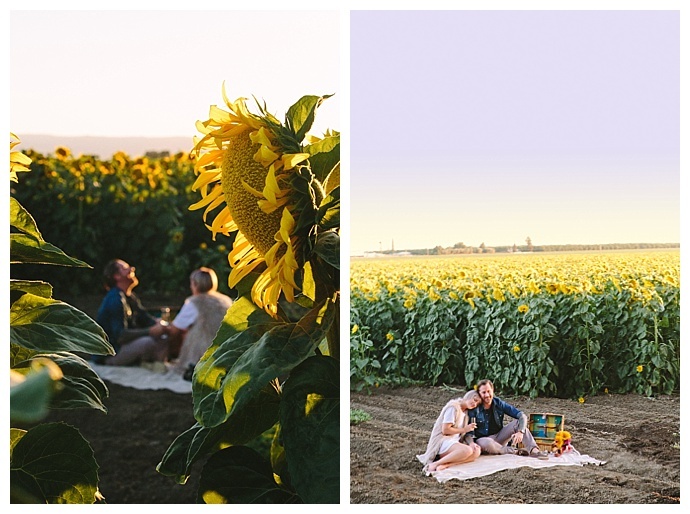 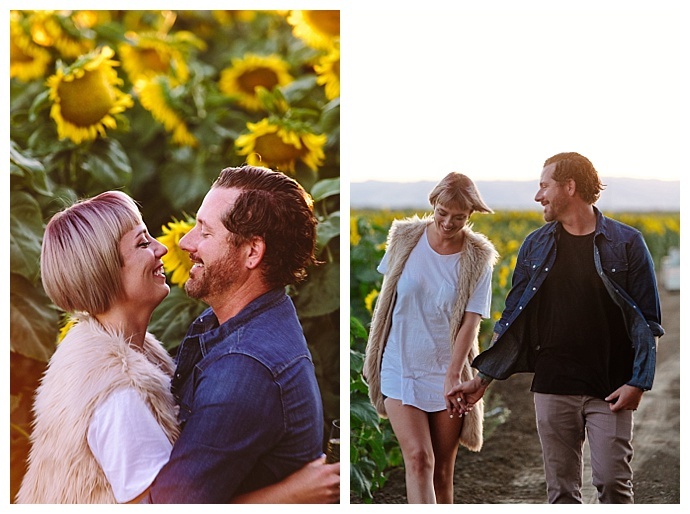 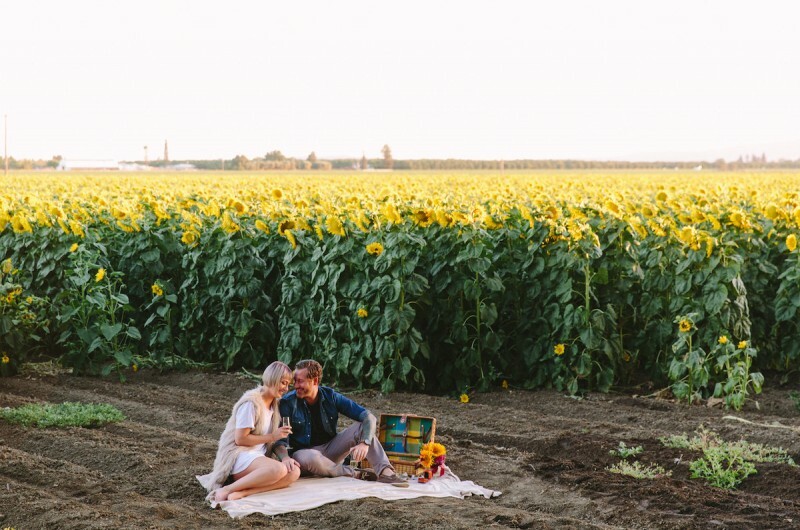 Shane timed it perfectly, and just as they rounded the corner and Lisa caught a glimpse of the picnic waiting for her, the sun was beginning to set, casting a warm glow on the yellow sunflowers. 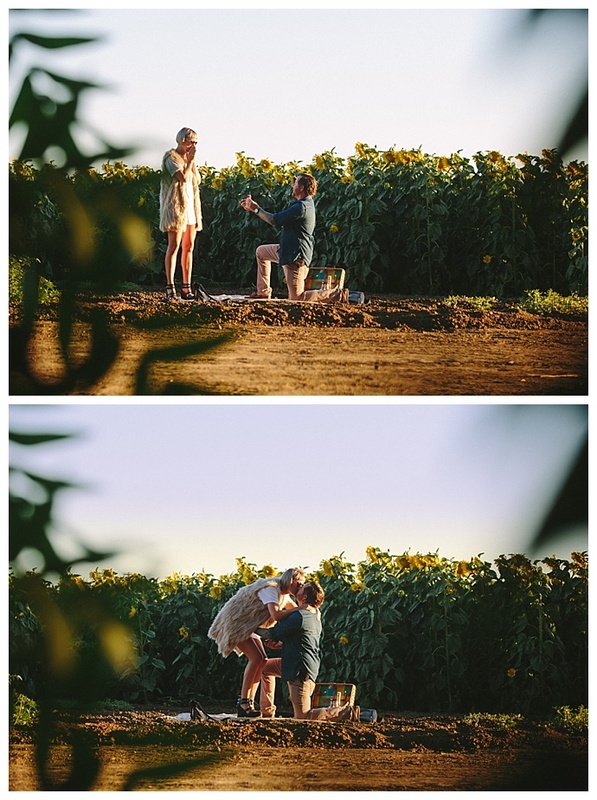 With tears in her eyes as Shane got down on one knee, Lisa said yes!